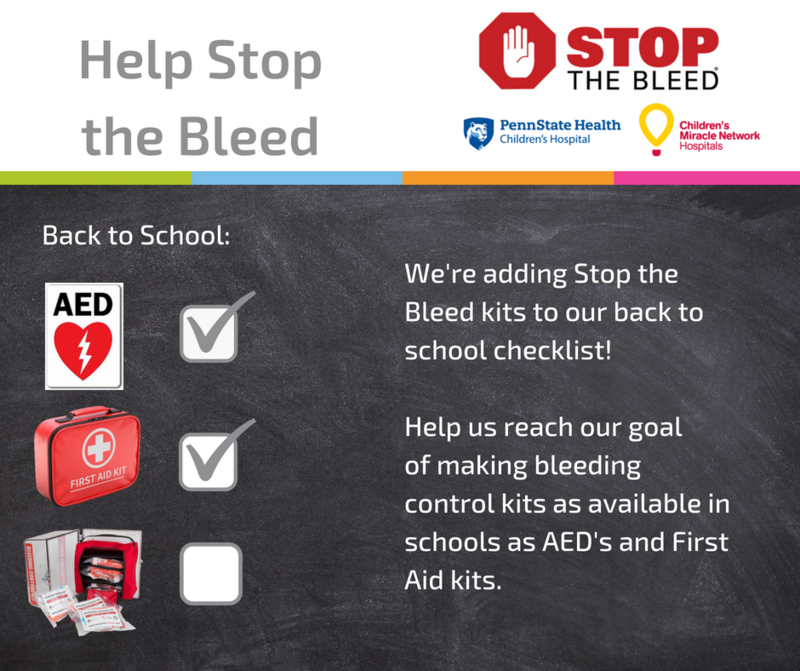 Penn State Children's Hospital Pediatric Trauma Program & Injury Prevention department has teamed up with Children's Miracle Network to help Stop the Bleed. Our goal is increase community and student safety by training local school staff in basic bleeding control techniques, and to work toward placing bleeding control kits in local schools. These kits are intended to encourage bystanders (immediate responders) to become trained, equipped, and empowered to help in an emergency before professional medical help arrives. Help us purchase 15 kits for local schools!